As of 2008, Männy Zegering Hadders-Berger lived abroad for five years: three years in Istanbul, followed by two years Washington DC. During these inspiring years she developed a special sense for finding beautiful one-off pieces on fleamarkets, in antique shops and via auctions. 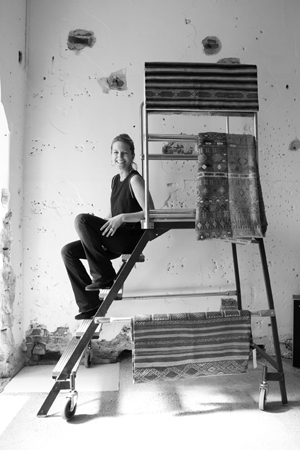 After her return to The Netherlands, Männy had one thing on her mind: starting a label with authentic and unique textiles, with special focus on antique kilim rugs. Textiles with a soul and a story, ready to tell the world. Passion became vision and vision became reality. In 2014 TRŌVE was born. TRŌVE stands for ‘a collection of valuable and delightful objects, discovered or found; a treasure-trove’. 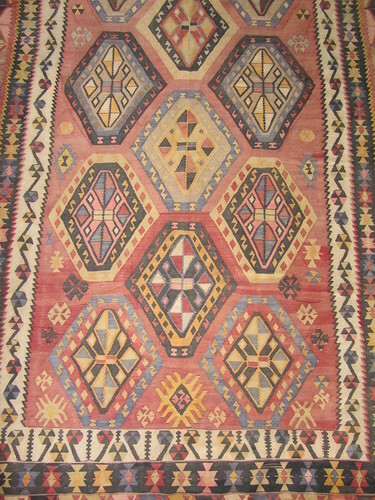 A personal collection of one-of-a-kind kilim rugs, cushions and other original finds, which offers designers, decorators and people who just love beautiful things, a true treasure-trove of unique pieces from all around the world.